Cost effectiveness in terms of educational aims and results – not just price: The book is extremely cost effective. All the activities are easy to plan with a few copies of the storybook and some photocopies, whiteboards and paper. 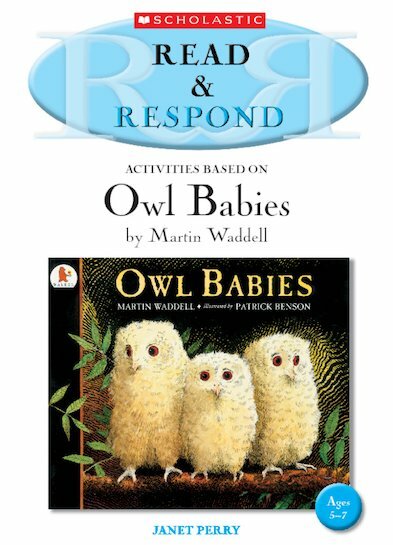 Teacher Coryn Bendelow takes a look at Read and Respond Owl Babies for us. This is a brilliant book. Extremely well written by someone who is obviously an excellent practitioner. The ideas are extremely innovative. I love the way that the first section gives details about the book and the author. The Guided and Shared reading sections are very clear and contain some lovely and thought provoking ideas. The style is informative, intelligent and inspiring. As this is a book that is much loved by my Reception class I did use some of the more practical ideas with them although I feel that the majority of the activities in the book are a little more suited to a Year 1 class. (The book is aimed at Year 1) The book has had an impact on the learning of my class particularly on their thinking skills and oral language. Ideas such as ‘true or false’ , ‘ caring’ and ‘ask me’ gave a great stimulus for PSHE and drama work and all the sections are linked to language and literacy. The resource supports and enhances the work of KS1 teachers giving lots of great ideas for literacy lessons and some excellent photocopies and grids. The assessment section is excellent and would be very useful after studying the story in Year 1. The book is extremely cost effective. 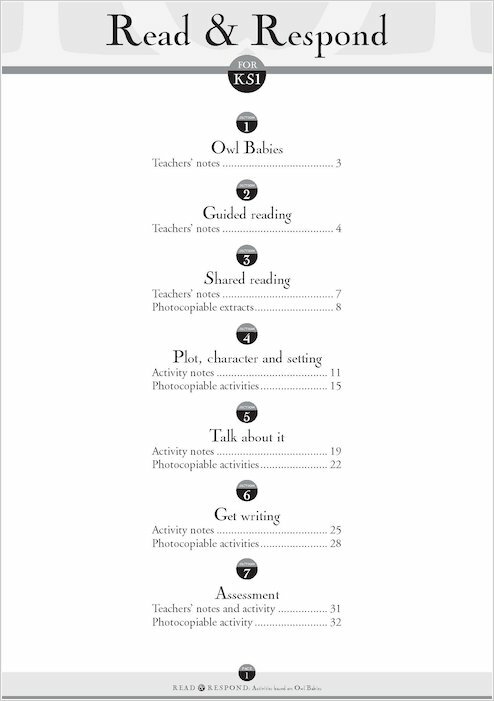 All the activities are easy to plan with a few copies of the storybook and some photocopies, whiteboards and paper.